Home of the largest auction company in the Maritimes! Our company has more than 40 years of experience in estates, bankruptcies, receiverships and industrial auctions. We’re pleased to offer the services of our expert appraisers and auctioneers to appraise your items for purchase or auction on consignment. Make sure to stop by our retail outlet to see what hidden treasures we have. Located in the Lancaster Mall in West Saint John, our store offers fine pieces of solid wood furniture, glass and china, collectibles, jewelry and much more at wholesale prices. And unlike an auction, all items are available for immediate purchase. As the proud back-to-back winner of the Telegraph Journal’s Readers Choice Award for Best Auctioneer, we would like to thank and acknowledge everyone who has supported us. You’re all greatly appreciated. Lancaster Mall, 621 Fairville Blvd, Saint John. Buy wholesale quality solid wood furniture, estate jewellery, large collections of antique China and glass collectables, artwork, hard covered books and more! 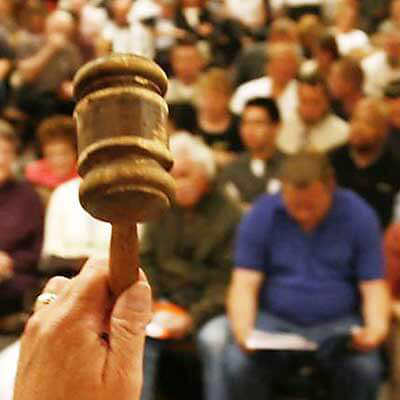 Check out our current or upcoming auctions.